I recently travelled to Uzbekistan. I confess that beforehand I knew little about this part of the world. To me, it was just one of many of the ‘stans’ countries flown over en route to somewhere else. This trip opened my eyes as I learned the history, geography and culture of this part of Central Asia. The Silk Road is not an actual road. It was a network of routes stretching from China to the Mediterranean. For 2000 years it was how knowledge reached the West via traders crossing the desert by camel. Silk, gunpowder, porcelain, paper-making and spices were among the things that came through Central Asia from China. Likewise it is probably how the plague made its way to Europe in 1346. Along the way were cities and stopping off points where one would find caravanserei (trading posts) populated by locals (who were nomads), slaves, and merchant travellers like the Venetian, Marco Polo. The caravanserei was where knowledge was acquired and exchanged, as people stayed for long periods before moving on. Here is one story from along the Silk Road. It probably will not be the last you come across as the Silk Road opens up once more. Let me introduce you to Ulugh Beg, one of the world’s first great astronomers. His achievements were the result of a collaboration with some of the best minds of the 15th century. His work pre-dates Nicolas Copernicus, the 16th century mathematician and astronomer, and has been proven to be every bit as accurate as calculations produced by computers. Ulugh Beg (1394-1449) was the grandson of the mighty conqueror, Timur (also known as Tamerlane), who founded in the Timurid empire in Persia and Central Asia. Unlike his grandfather, Ulugh Beg was not a conqueror; he was an intellectual. 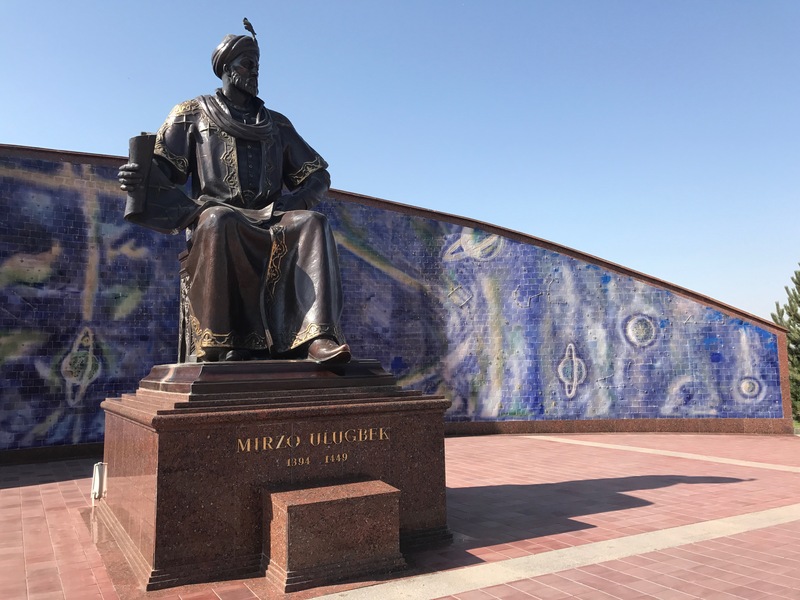 He became a ruler when only a teenager and set about turning the city of Samarkand into an intellectual centre for the empire, inviting scholars to study there. His interests ranged from astronomy and mathematics to medicine and poetry. According to academics quoted in Wikipedia, his scientific discoveries were the result of perseverance, rather than of genius. Well, he stuck with it for 30 years, so I agree, that demonstrates perseverance. I would go further and say his skill lay in leadership, in bringing together the best scholars of the time and creating the circumstances for producing this great output. 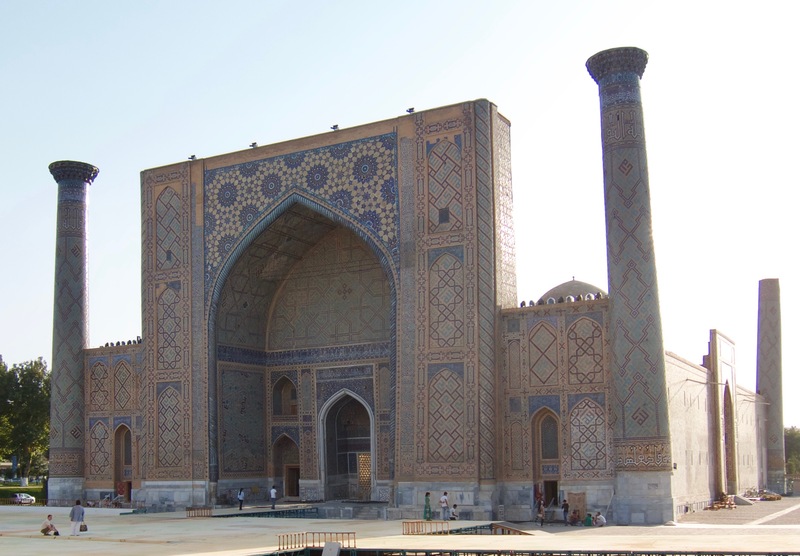 From 1417 to 1420 Ulugh Beg built madrasahs (centres of learning) in the cities of Samarkand and Bukhara. These universities were the Oxford and Cambridge of their day, and Ulugh Beg personally invited academically-respected Islamic astronomers and mathematicians to study there. He was known to participate in setting the entrance exams to the madrasahs and in debating with the scholars. 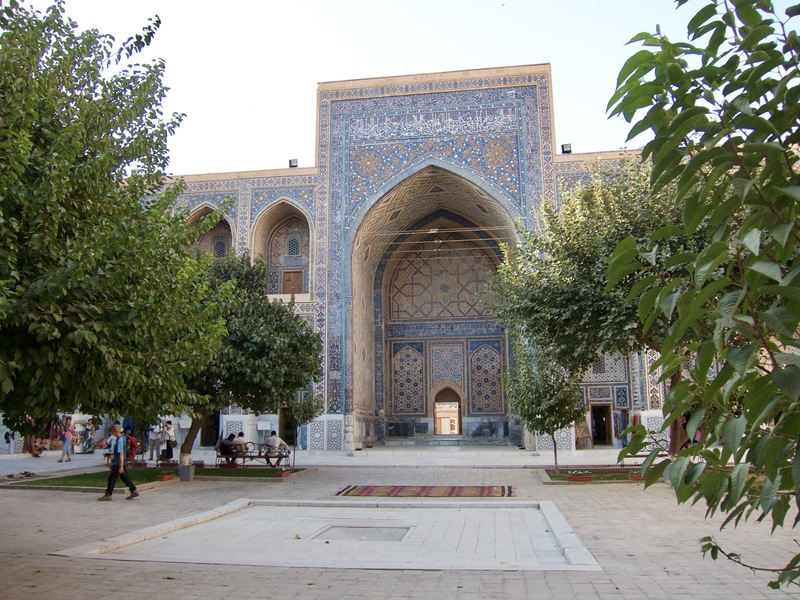 At its peak there were believed to be up to 70 astronomers working in the Samarkand madrasah. You can visit both of these madrasahs today and be awed by the sheer scale of the buildings. This is especially true of the Ulugh Beg madrasah in Samarkand which is on Registan Square, one of the most impressive public squares anywhere in the world. Both madrasahs are fronted by huge arches and tiled in exquisite detail. Inside, they each have a large open air courtyard, surrounded by rooms for studying and preparing lessons. It is not hard to imagine these courtyards being filled with scholars as the atmosphere is serene and beautiful, designed for discussion and collaboration. Today the madrasahs are used by the locals to sell locally-sourced crafts to tourists. 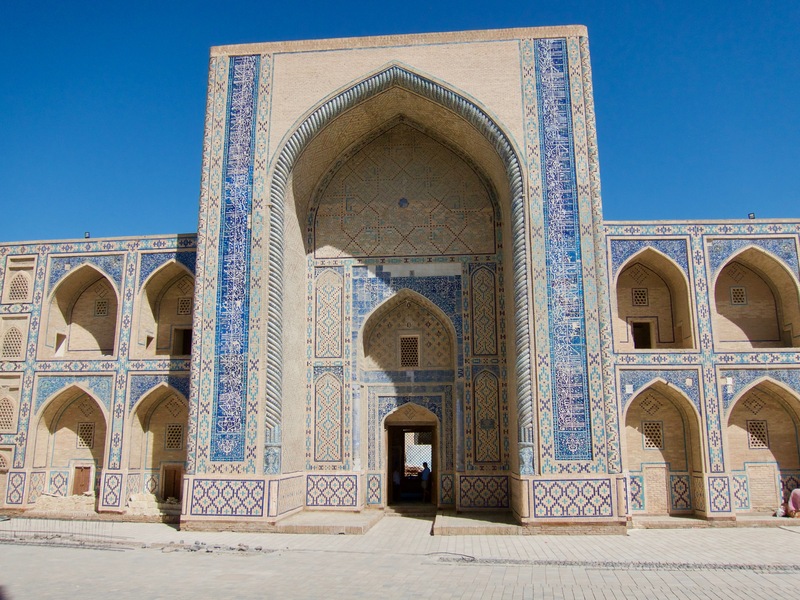 In 1424 to complement the Samarkand madrasah, Ulugh Beg built nearby what was considered by scholars to have been one of the finest observatories in the Islamic world at that time and the largest in Central Asia. This was in the days before telescopes. To improve the accuracy of the Fakhri sextant, Ulugh Beg increased its size to a radius of 36 metres (118 feet). It was from here that he and his astronomers compiled the catalogue of stars. 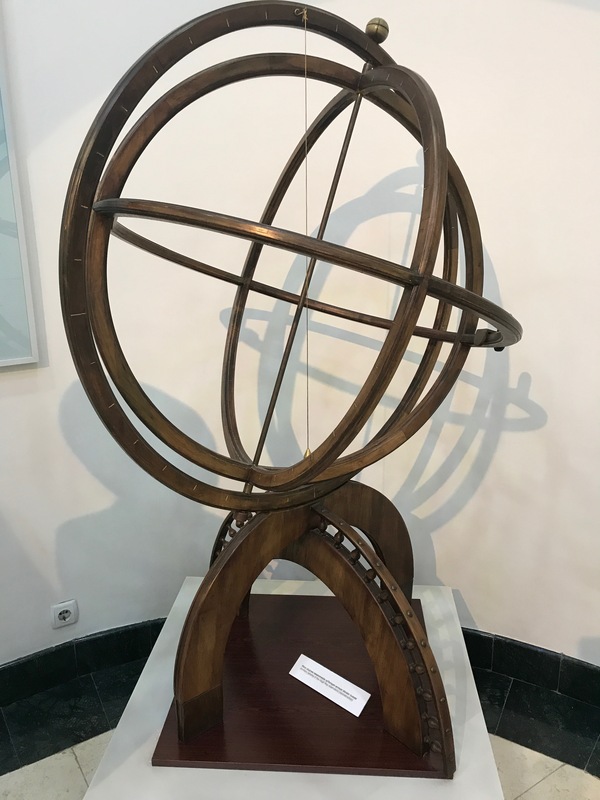 In addition to updating the findings of Ptolemy, they plotted the coordinates of 1,018 star positions based on original research at the observatory. Tragically Ulugh Beg’s governance skills were not as good as his scholastic leadership. In 1449 he was assassinated while on the way to Mecca on the orders of his eldest son. On his death the observatory was destroyed by religious fanatics who disapproved of experts and facts (sounds familiar!) and only rediscovered by archaeologists in 1908. You can visit what remains of the observatory today. 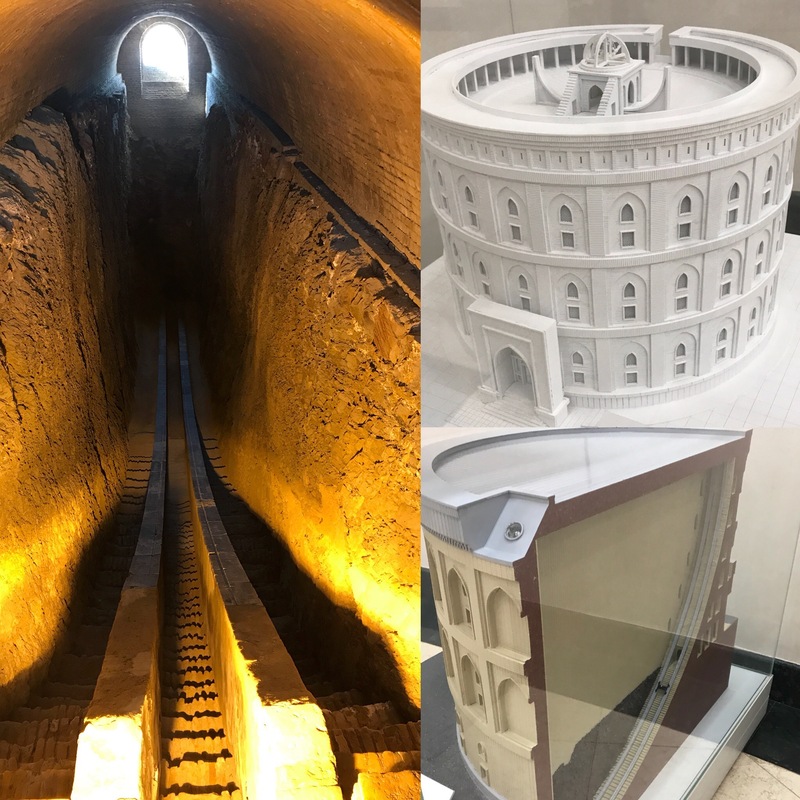 The Fakhri sextant is set in a trench on the side of a hill to protect it from earthquakes, and archaeologists believe that the trench would have been lined in smooth marble. It was through the arch at the far end of the trench (in the photograph below) that the astronomers were able to scientifically determine noon according to the meridional height of the Sun. 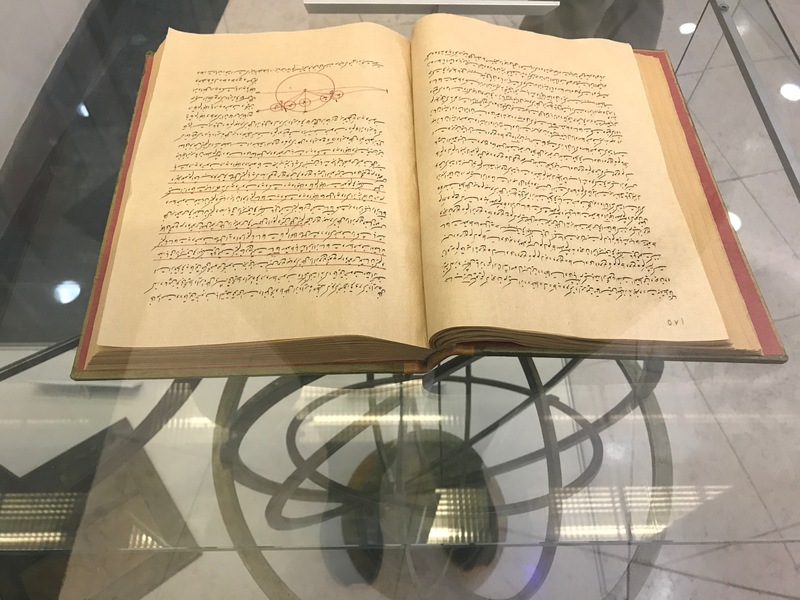 The museum which sits alongside the observatory contains some interesting artefacts, such as the reconstruction of an astrolabe that would have been used in Ulugh Beg’s time, an astronomy manuscript written in Arabic, and a world map. Today we in the West do not know much about Central Asia. Our history lessons, when we have them, have generally been Euro-centric. While Central Asia was under the rule of the Soviet Union, travellers rarely ventured to this region. It is only since independence in 1991 that Uzbekistan and neighbouring countries like Kazakhstan have become more accessible. In future we are likely to hear more about Uzbekistan as it becomes more economically self-sufficient. The country has huge natural gas reserves. It exports fresh fruit and vegetables to 43 countries, which is astonishing when you consider that 75% of the country is desert, and 92% of the land is uninhabitable. In April 2017 the first train travelled from China to the UK, part of China’s “One Belt, One Road” programme aimed at reviving the ancient Silk Road trading routes with the West. 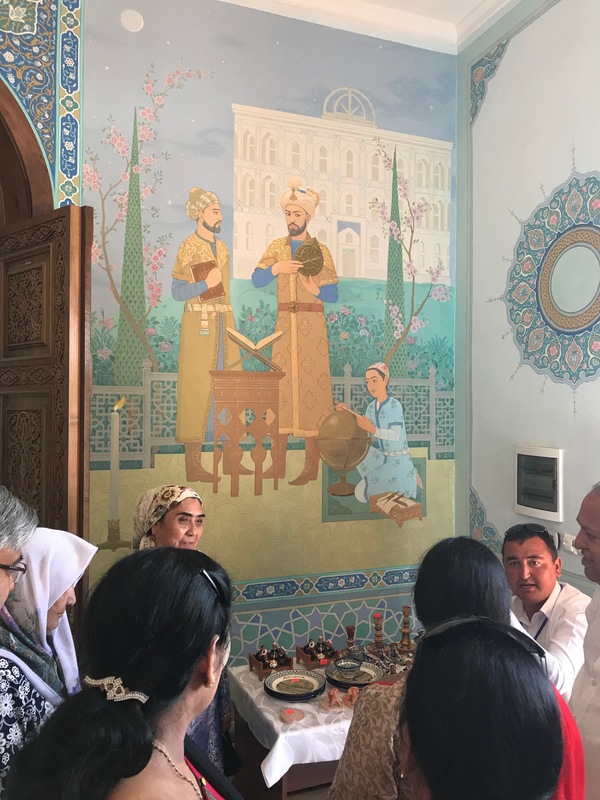 Uzbekistan is participating in this programme, and while it was not on the inaugural train’s original itinerary, that train had to be re-routed through Samarkand and Bukhara. 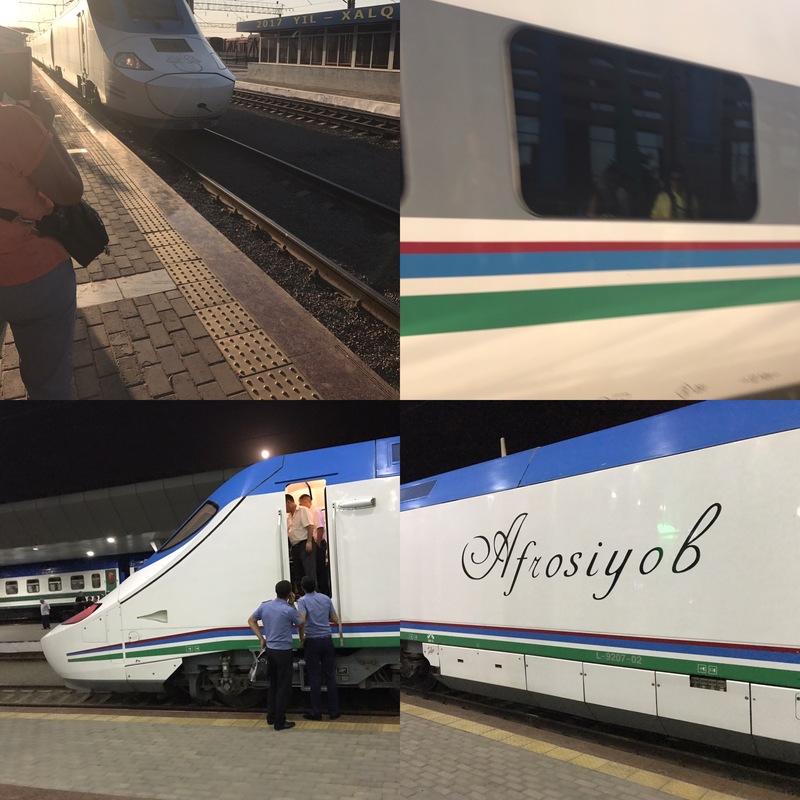 There is already a high speed rail connection between Samarkand and Tashkent (I used it), and more bullet train lines are being built. Within the next few years Uzbekistan will likely have more bullet trains than most Western countries, courtesy of investment from China. We are going to be hearing a lot more about the Silk Road in years to come. Meanwhile there’s a lot to learn from the past. 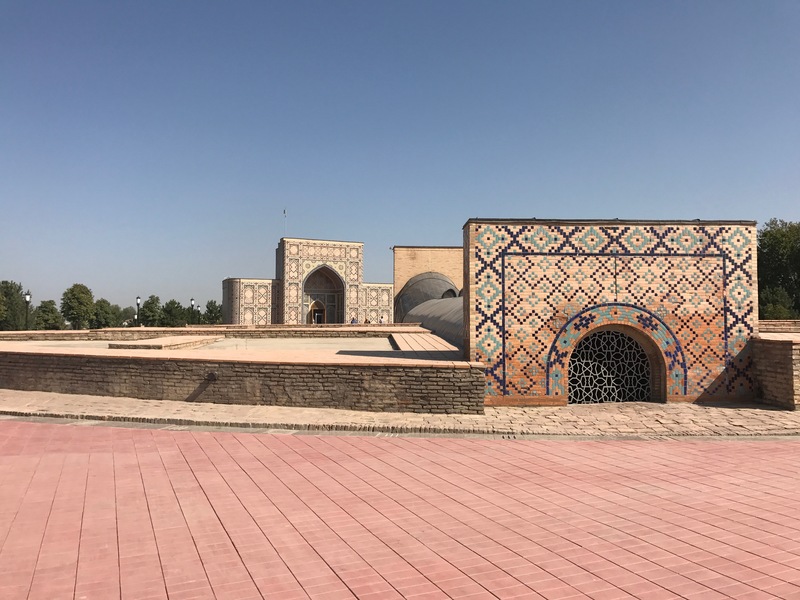 You can read about my trip to Kazakhstan and Uzbekistan here. 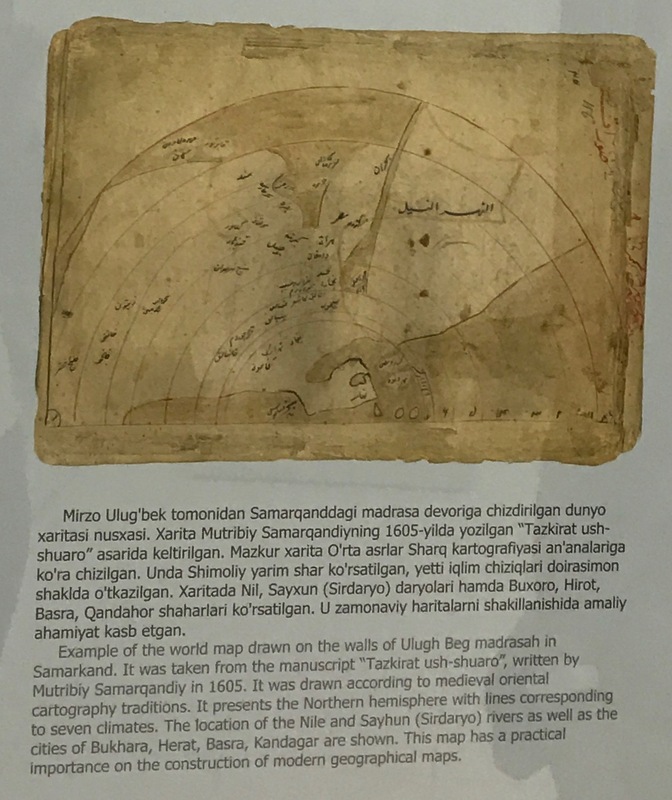 Posted on 14/10/2017 06/07/2018 by Susan ChanPosted in Collaboration, Inspiration, KnowledgeTagged Central Asia, experiences, history, knowledge sharing, Leadership, Silk Road, Uzbekistan.